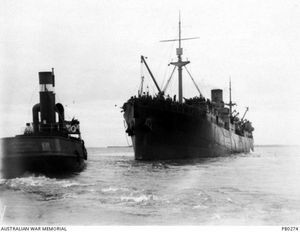 LESS than two months after the first Australian Imperial Force convoy left Albany's shores with 20,000 troops on board, the second fleet of Anzacs weighed anchor and left the same harbour on December 31, 1914. 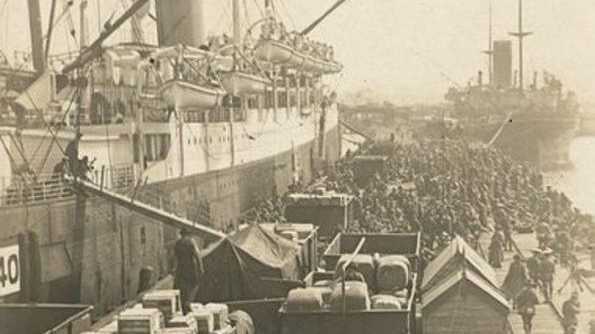 Such was the success of the troop recruitment, there were a further 11,000 troops on board the second convoy of 17 ships bound for the Middle East. Their journey would take them via Colombo, in Ceylon (now Sri Lanka); Aden, in Yemen; and the Suez Canal and Port Said, in Egypt, before they reached their resting point of Alexandria on February 3 and completed their disembarkation four days later. Dr David Stevens, director of strategic and historical studies at the navy's Sea Power Centre, said the second mass departure of Australian and New Zealand troopships was notable in part because it was the last formed convoy to leave Australian shores until 1917. With German cruisers such as the Emden, Scharnhorst and Gneisenau having been destroyed in the few weeks prior to departure, it was considered there was little threat to the transports making their way to war, and the second convoy was accompanied only by the submarine AE2, which was being towed by HMAT Berrima. "After that, they might have called them convoys, but in reality the transports sailed independently," Dr Stevens said. 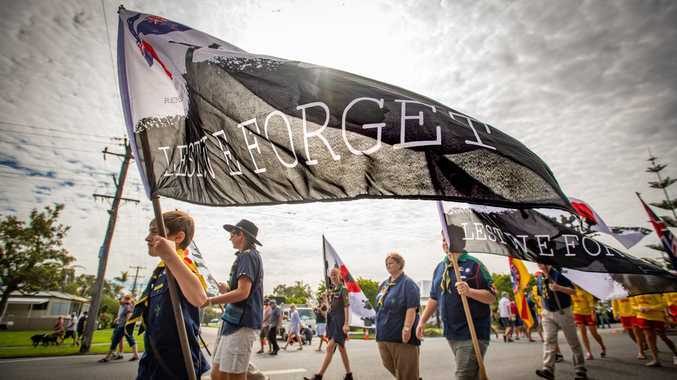 The navy historian - who last month released a book called In All Respects Ready: Australia's Navy and World War One - said the second Anzac convoy also included five vessels that had been captured from the Germans and renamed: the Boorara, Barambah, Barunga, Boonah and Bakara. The Bakara and Barunga were supposed to leave with the convoy on December 31, but a fire in Bakara's coal bunker and engine problems for the Barunga meant both were delayed in their departure and they had to catch up with the rest of the fleet. The journey was largely uneventful, with the exception of an unidentified vessel that appeared on January 21 and did not reply to signals, causing the AE2 crew to trigger their emergency preparations in case. In the nick of time, the crew of the Indian vessel Dufferin signalled back - they too were on their way to the port of Aden. Dr Stevens said while military life was often tough and regimented, the young Anzacs on their way to war were also able to relax a little before the reality of more serious training and combat truly set in. "We forget that a lot of these guys weren't living like we do today - they might have come from poorer backgrounds or poorer parts of the cities," he said. "When they went into the army they got regular meals, and when they got paid they could spend their money ashore. "A case in point was that when they got to Colombo, about 500 soldiers broke ship. All but 22 had come back by the time the convoy sailed again a couple of days later, but the remaining ones were picked up by the Bakara when it came through a bit later. "For most of them, the adventure would have overridden any minor discomforts." Nonetheless, the sombre nature of the task ahead was not lost on some of the soldiers. Private Herbert Vincent Reynolds, of Victoria, who kept extensive diaries throughout the war, was a passenger on the Berrima and recorded his thoughts on December 31 as he watched the West Australian coastline get swallowed up by the horizon. "We watched it disappear with very mixed feelings and thoughts of what this venture had in store for us, and what the coming year will bring forth," Reynolds wrote. "We have bade 'goodbye' to our homeland with the closing of the year, no doubt to many it will be a last 'goodbye'. But whatever the fates decree, and if any return, it will be to enjoy the liberties and freedom of our own land in full security." New Zealand transports: HMNZT Knight of the Garter; HMNZT Willochra; HMNZT Verdala. Australian submarine AE2 was under tow of the Berrima. WHILE the AE2's mission in early 1915 was to protect the troopships of the second Anzac convoy, it would be given a far more testing mission come the Gallipoli landings in April. The submarine had been ordered to penetrate the Dardanelles on April 25, the day of the infantry's landings at Anzac Cove, and entered the straits at 2.30am. After torpedoing and damaging the Turkish gunboat Peykisevket she passed through the Narrows, pursued by surface vessels. She ran aground twice beneath the guns of the Turkish forts along the shore, but these guns could not be depressed low enough to fire on her. The AE2 entered the Sea of Marmara on April 26 and attacked Turkish shipping with her torpedoes for the next four days, but without success. Her mission, alongside the British E14, was to effectively close the Sea of Marmara to Turkish ships bound for the Gallipoli battlefields with reinforcements. On April 30, the AE2 - under the command of Lieutenant Commander Henry Stoker - dived in an effort to avoid a Turkish torpedo boat, but lost control and was eventually hit by the guns of the Sultan Hissar. The crew had to abandon ship. Although none of the submarine's men were lost in the sinking, four were to die in captivity as prisoners of war. Earlier this year, the Federal Government announced a project was under way to preserve the AE2's watery grave at the bottom of the Sea of Marmara, with the help of a team of Australian submariners, scientists from the Defence Science and Technology Organisation and US Remotely Operated Vehicle designers SeaBotix. TWO of the German ships requisitioned and re-used by the Royal Australian Navy had interesting back stories. The Pfalz had been a cargo steamer operated by German shipping company Norddeutscher Lloyd, which ran regular vessels between Australia and Bremerhaven. As it approached Port Phillip Heads, the artillery garrison stationed there received news of the war declaration and were given orders to "stop her or sink her". After signal flags were hoisted (and ignored), the garrison fired a shot across the bow of the Pfalz, which would be the first Allied shot of the First World War. 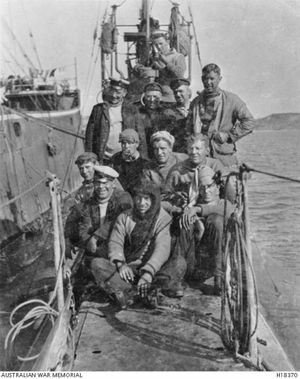 The steamship and its crew were captured, and the boat was renamed the Boorara. A few days later, on August 11, the Australians captured the Hobart, another German steamer on the German-Australian Line. The Australians had deliberately jammed telegraph exchanges by keeping up incessant radio traffic, meaning when the captain of the Hobart docked at Melbourne he did not know war had been declared almost a week earlier. The Hobart was allowed to anchor and navy officers disguised as quarantine officials boarded the boat, with some staying overnight with the crew. Spooked, the captain got up in the middle of the night to retrieve the codebook for communications between military commanders and merchantment so he could destroy it - but he was stopped at gunpoint and made to hand it over. The Hobart became HMAT Barambah. After the first few weeks of war being declared, Australia would go on to capture about 40 German ships.